How Many Toilet Cubicles Do You Need? 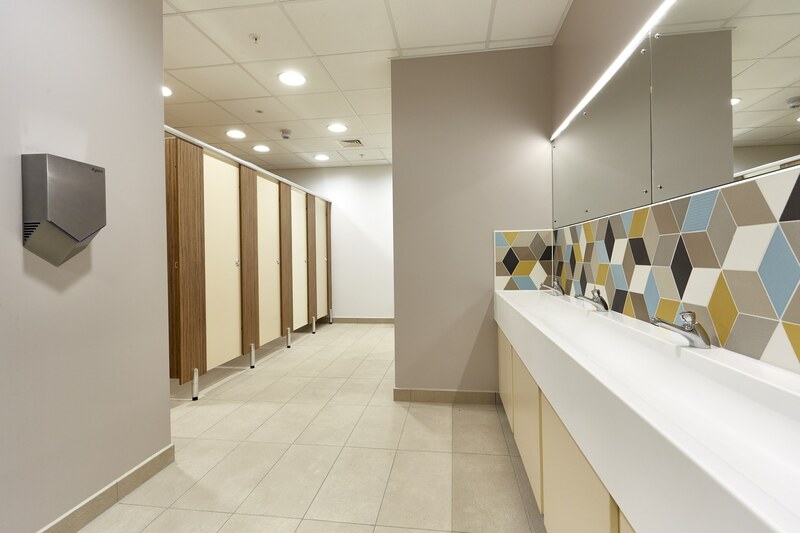 This global food producer underwent a complete transformation of its washroom facilities. 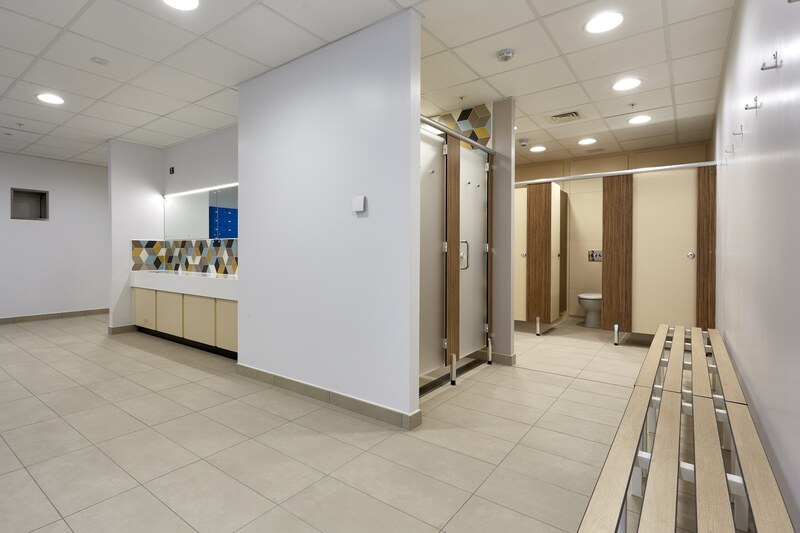 With over 300 staff members, the washrooms cater for a high volume of daily traffic and combine toilet and shower facilities for staff. The building also has washroom facilities for visitors. 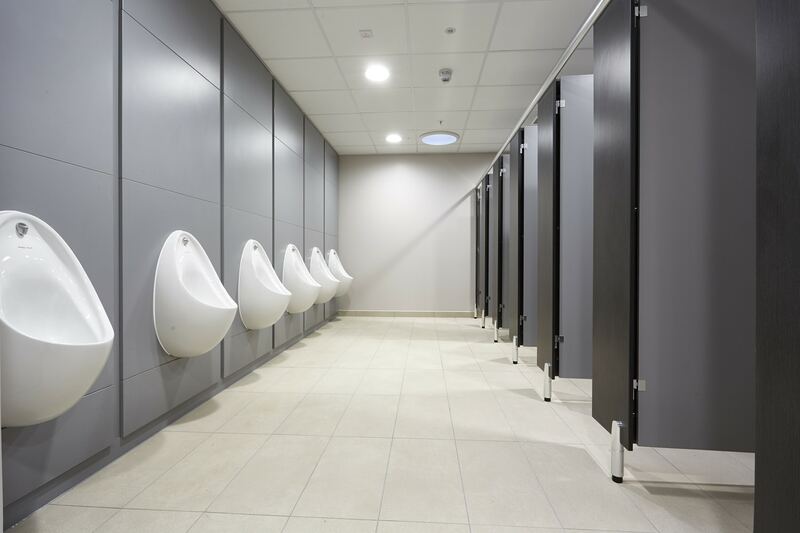 To supply and integrate a washroom system suitable for both wet and dry areas within the space. 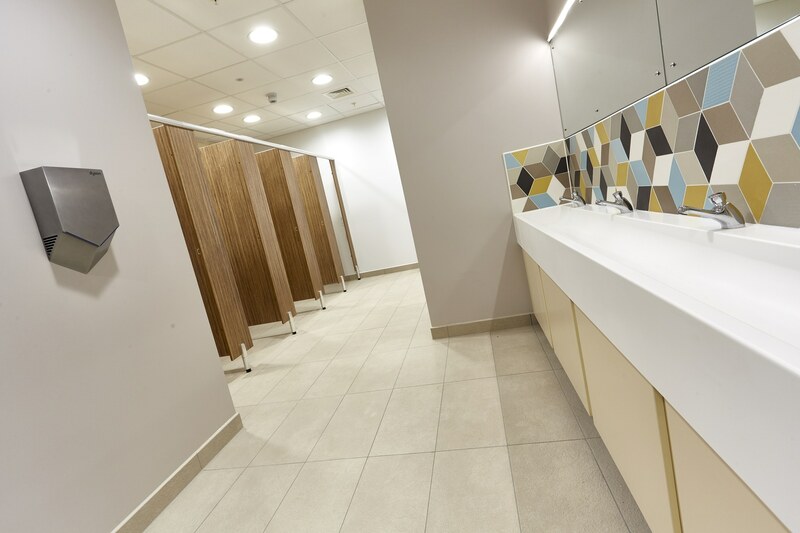 This included toilet cubicles, handwash vanities, duct unit panelling as well as shower cubicles and vanity units. 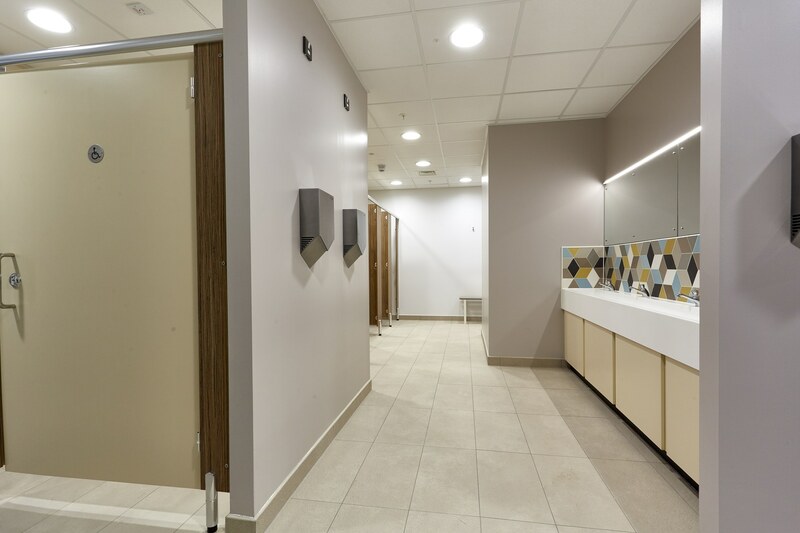 Additional IPS duct panelling was also required for the visitor and reception area toilets. 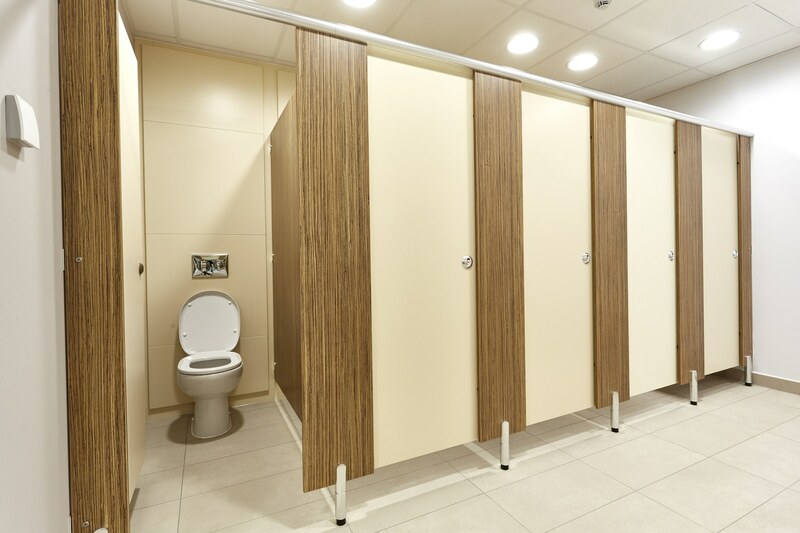 Our Classic range in our High Pressure Laminate (HPL) material was the system of choice for the staff toilet cubicles, vanity units and duct panels. 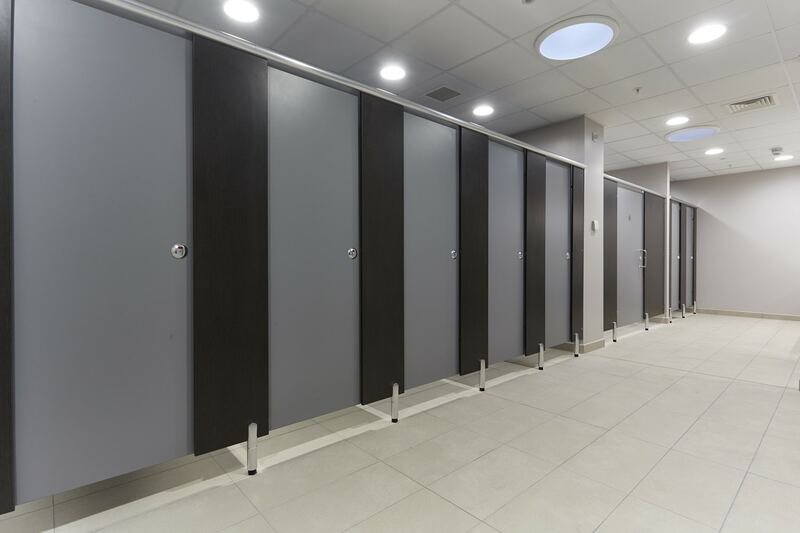 Classic is renowned for its durability in dry washrooms and ideal for heavy traffic. It is an attractive system and a cost-effective choice. 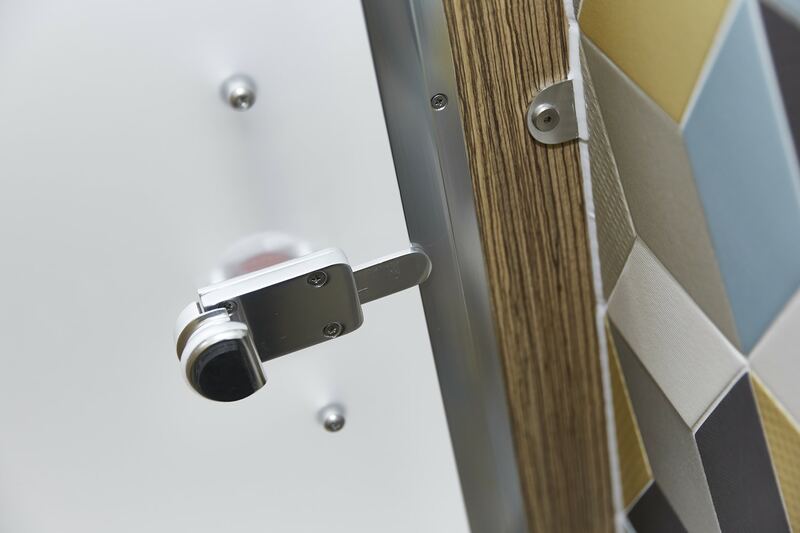 For the shower cubicles and IPS panelling, the more water resistant Solid Grade Laminate (SGL) material was chosen. 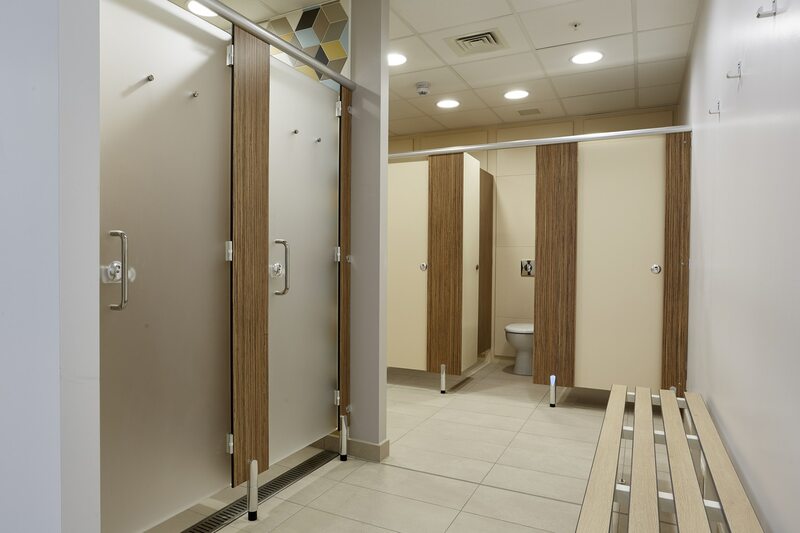 Our Challenger SGL cubicle systems are extremely versatile and suitable for wet washroom areas such as showers. 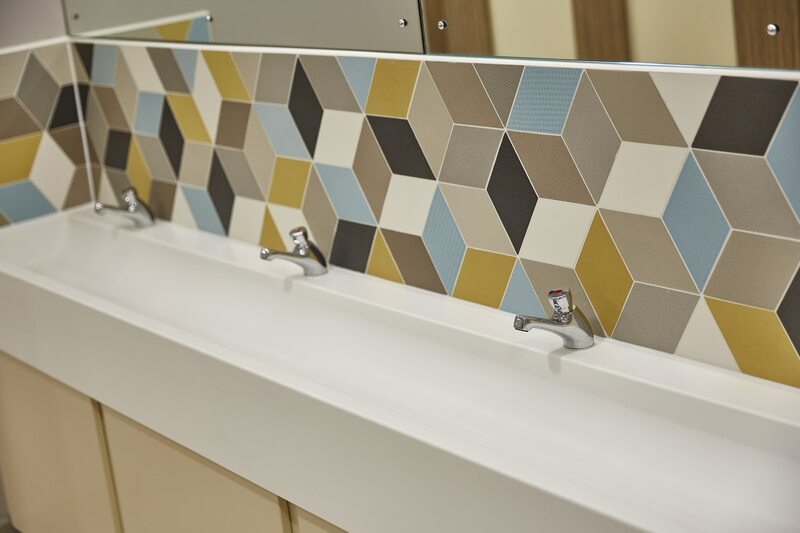 Corian wash troughs were chosen for this project due to their durability and aesthetic qualities. 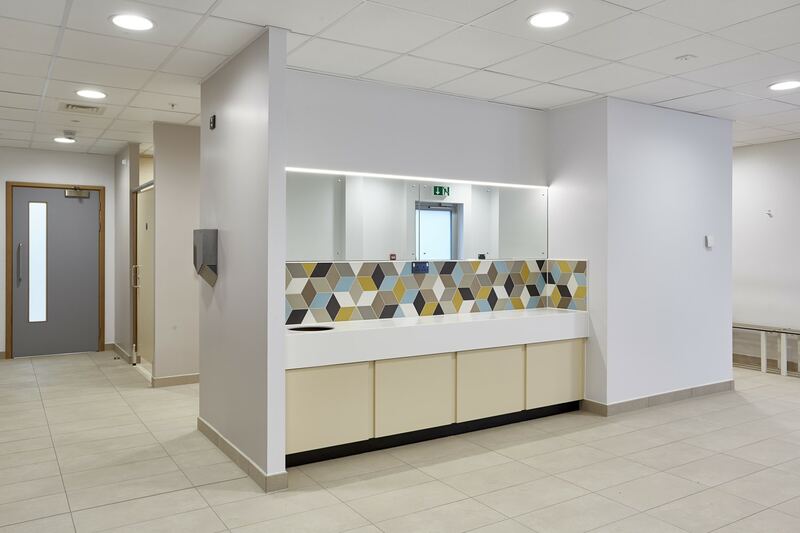 The commercial vanity units also include bin cutouts in the Corian tops to enhance the overall look of the washroom and also reduce the risk of waste polluting the washrooms. 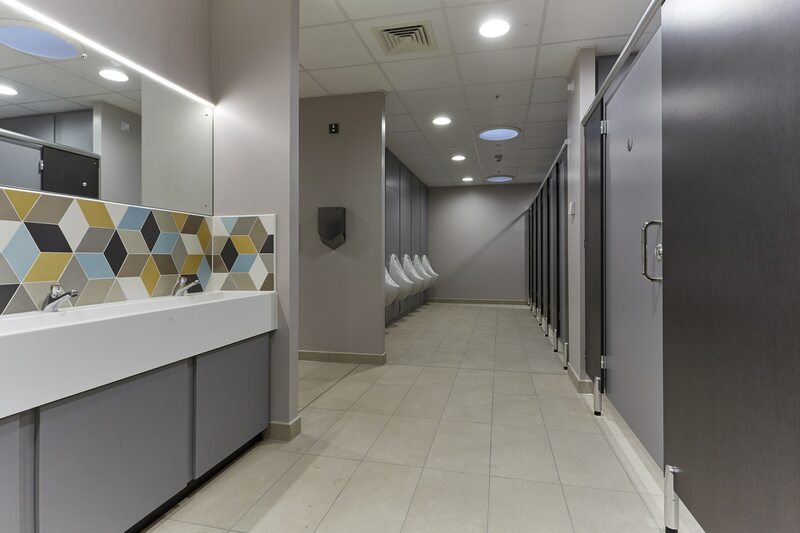 A natural colour scheme was chosen throughout with ‘Costa Wood’ paired with ‘Antique Cream’ in the ladies washrooms and ‘African Wenge’ paired with Orion Grey in the mens washrooms. 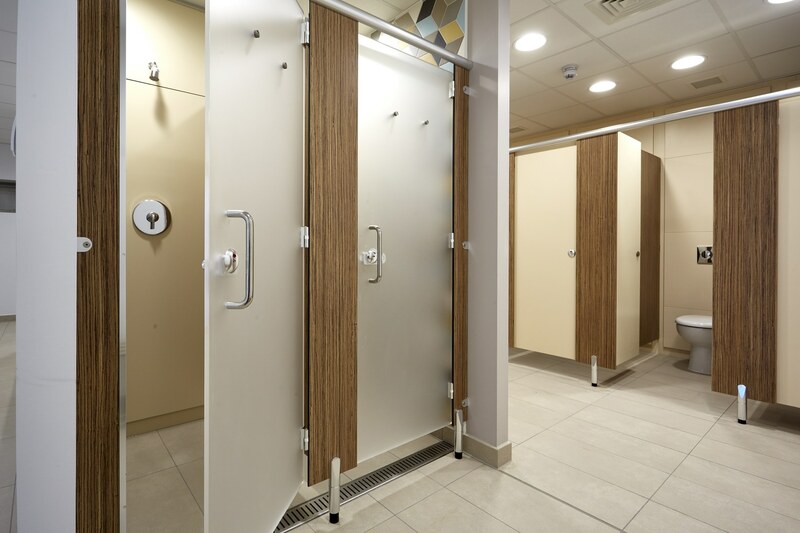 The two washrooms were brought together with matching ‘Opaque’ acrylic doors used for the shower cubicles. Download our colour brochure here. 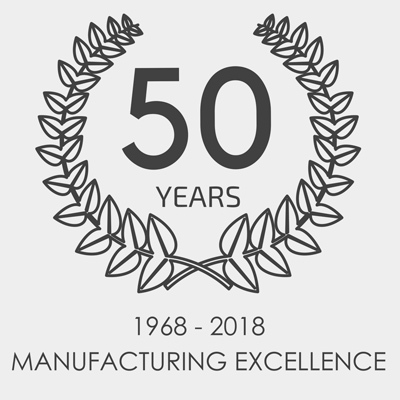 Please send a big thank you to the entire team there… It’s turned out great and the service has been impeccable from Dunhams. It has been a pleasure working with a first class company and I hope to do more business together in the future. We have been very happy with the work, quality and professionalism demonstrated by you. They can turn things around quicker than any supplier that I know. Your product is still the best I have fitted. Interested in working with us? Contact our project experts today! 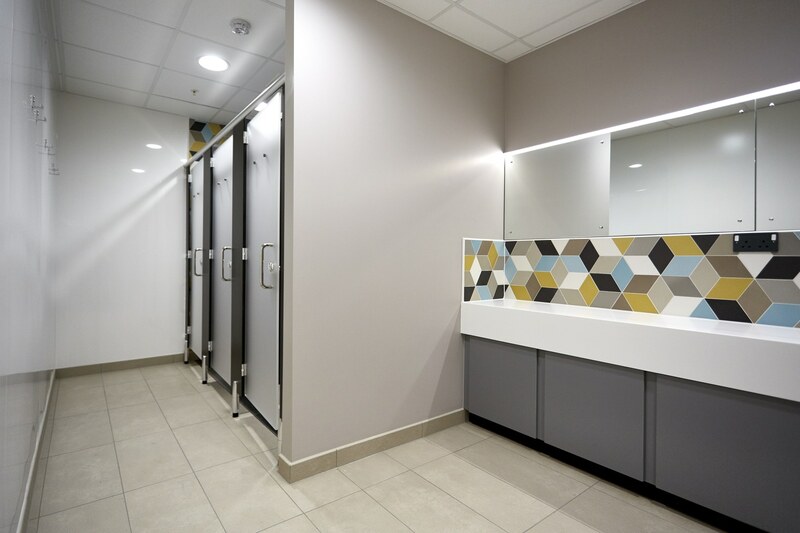 Dunhams Washroom Systems Ltd, The Granary, School Road, Neatishead, Norwich, NR12 8BU. Registered in England & Wales.